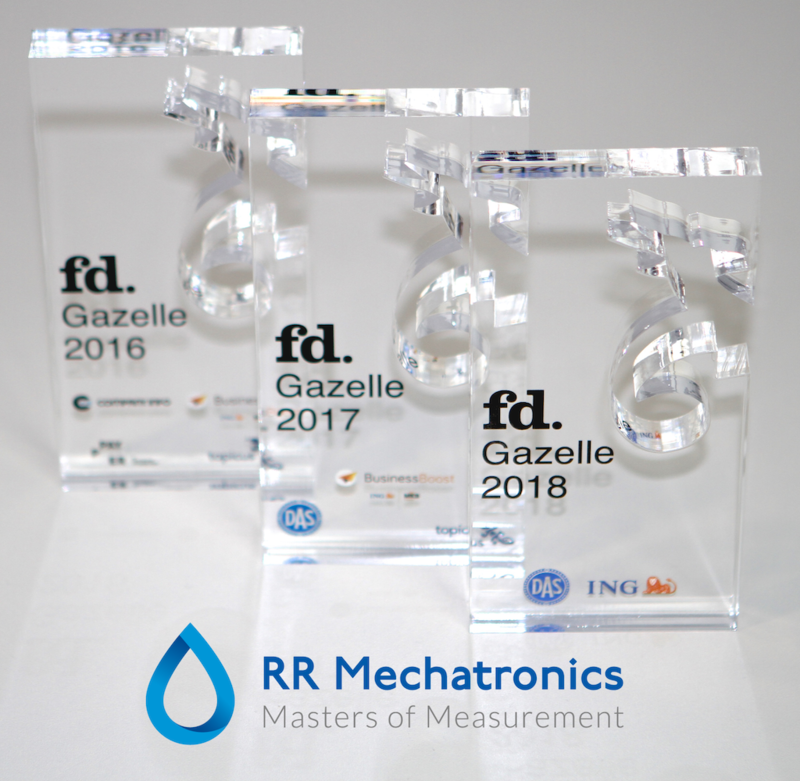 RR Mechatronics: Masters of Measurement. We are passionate about the invention and development of highly precise analytic instruments. RR Mechatronics, established in The Netherlands in 1986, focuses on medical analytics laboratory instruments. We serve IVD laboratory customers and OEM-partners all over the world. RR Mechatronics is the world leader in automated ESR instruments. Tens of millions of ESR tests are performed every year with RR Mechatronics instruments, the only ones fully complying with the gold standard Westergren Method. 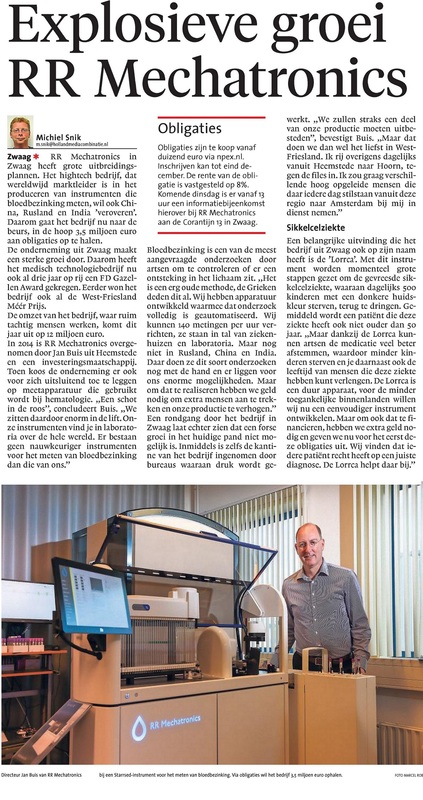 In addition to ESR solutions, RR Mechatronics has developed a unique and highly specialized red blood cell (RBC) analysis platform to evaluate the rheology of blood. It measures, among others, RBC deformability and aggregation and is used in the diagnosis and treatment of malaria, sickle cell disease, and RBC membrane disorders. In addition to the hematology related instruments, RR Mechatronics developes very specific environment related high technology instruments. To complement our instruments, we also offer diluents, cleaning-agents, control, and specific reagents. RR Mechatronics has a track record of thinking in terms of solutions, not problems. We do not have all the answers, but persistently strive to find them in close collaboration with research scientists and our OEM-partners. These partnerships significantly contribute to our high quality work. RR Mechatronics is ISO 9001 and ISO 13485 certified under the management of our Quality Assurance & Regulatory Affairs department. This assures our customers of the quality of our products. For over 25 years we have adhered to the belief in the exponential strength of technological advancement. Our priority is to improve our customers’ diagnosis and research operations. In turn, this allows them to treat their patients better. Our commitment to innovation is reflected by the fact that over one in four of our employees works in R&D, also researching solutions outside of the IVD field. Mechatronics USA is the specialized sales and service organization for RR Mechatronics instruments sold in the United States. We service hundreds of sedimentation instruments each year by means of dedicated service teams. We understand that service of daily used instruments must be performed on-site and we are organized to do so. The focus on uptime is translated into service contracts that include both immediate response and planned maintenance. Mechatronics operates one service number for any service request and is available 24/7.